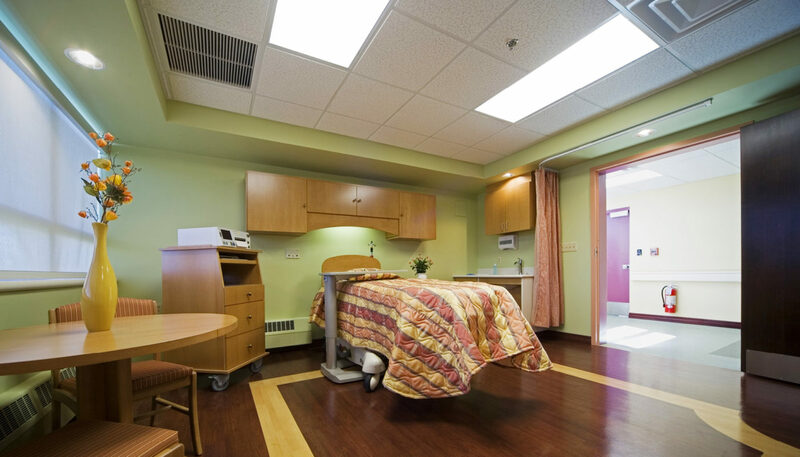 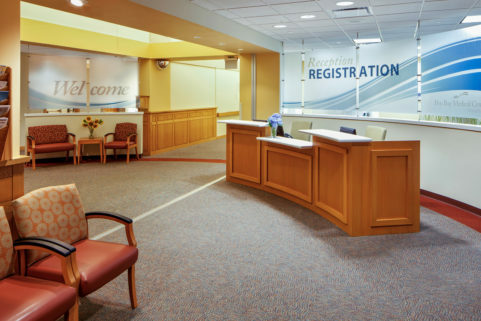 Inland Hospital has been named one of America’s Top Hospitals for Obstetrics for 2013, in part because of the patient-friendly interior design of its Birthing Center. 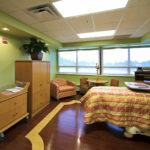 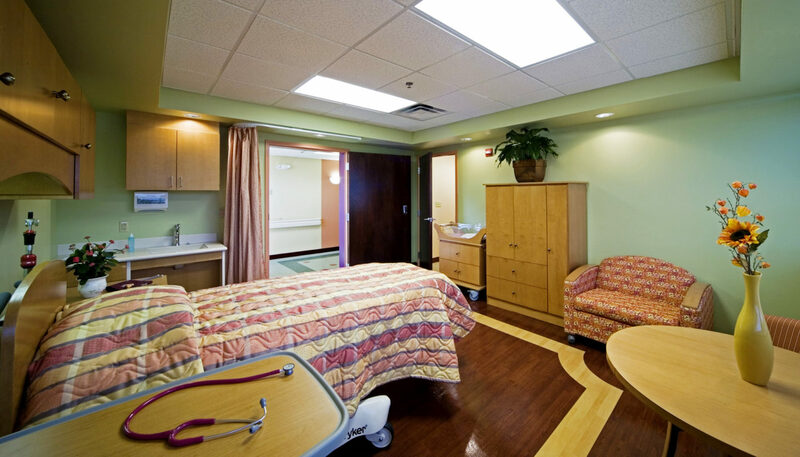 Inland Hospital strives to create a personalized experience that is safe and comfortable for moms and their families. 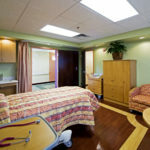 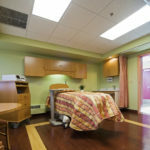 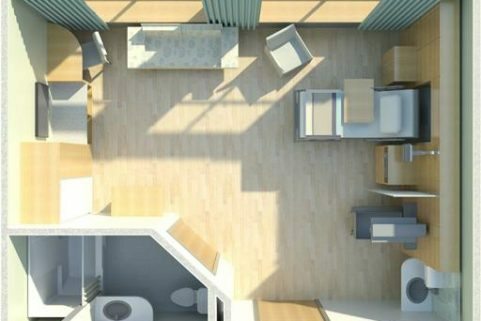 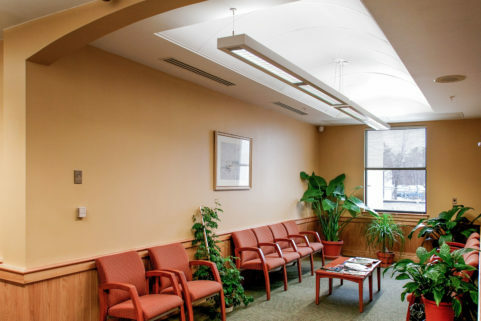 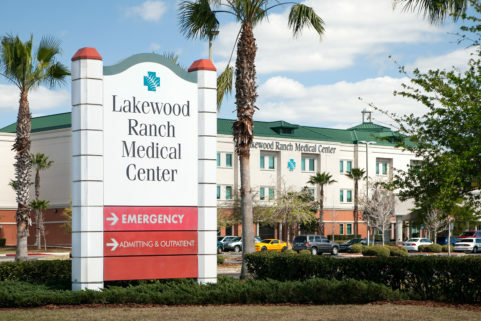 The 4,812 SF center—comprising five labor, delivery, recovery and postpartum (LDRP) rooms, as well as a nursery, family room and nurses’ station—meets this goal. 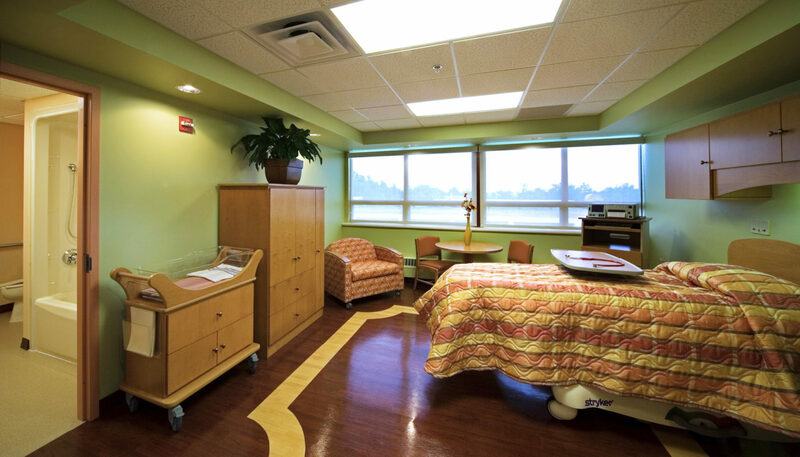 Details such as a water-jet-cut floor design that incorporates a polka-dot pattern, uplifting colors of raspberry, meadow green and sunny yellow, and family-friendly furnishings in an inviting wood-grain finish work together to create an inviting place.